Jane Barnette is a theatre historian and dramaturg who specializes in literary adaptation and the scholarship of teaching and learning. Barnette’s production work includes dramaturgy, acting, and directing for original adaptations of literature, classic and contemporary plays, and musical theatre. She produced an original adaptation of Stephen Crane’s The Red Badge of Courage, co-created with Michael Haverty, for Kennesaw State University and 7 Stages Theatre in Atlanta. Her book, Adapturgy: The Dramaturg's Art and Theatrical Adaptation, published with Southern Illinois University Press (Theater in the Americas series) in 2018, is the first of its kind to address the theory and practice of adaptation dramaturgy. 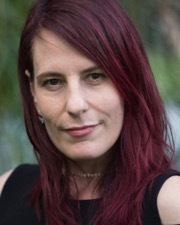 Her work on adapturgy can also be seen in recent collections on theatrical adaptation ("The Spirit of the Source: Adaptation Dramaturgy and Stephen Crane's The Red Badge of Courage, in Kara Reilly's Contemporary Approaches to Adaptation in Theatre) and journals dedicated to adaptation ("How to Do Things with Birds" in The Journal of Adaptation in Theatre & Performance). Additionally, Barnette is the author of “The Matinee Audience in Peril: The Syndicate’s Mr. Bluebeard and the Iroquois Theatre Fire” and “Rail-izing the Nation Along Lake Michigan: The Wheels a-Rolling Pageant,” both of which appeared in Theatre Symposium and stem from her research interests in the intersections of popular culture and the railroad business. Barnette’s articles and reviews have also appeared in Theatre Topics, Text and Performance Quarterly, Theatre InSight, and Theatre Journal. A recipient of the 2012 Distinguished Teaching Award for the College of the Arts at Kennesaw State University, Barnette explored the intersection of yoga/yogic philosophy and pedagogy from 2012-14 as coordinator of and participant in a Faculty Learning Community. She serves as a board member of the Friends of the Theatre (FROTH) and on the advisory board of the Women, Gender, and Sexuality Studies program at KU, is a Regional Vice President for the Literary Managers and Dramaturgs of the Americas, a member of the Pedagogy Subcommittee within the Association for Theatre in Higher Education, and was the Associate Editor for Theatre Symposium from 2012-14. I am the Director of Graduate Studies and I also serve on the CLAS Committee on Graduate Studies. Barnette, J. (2017). Theater in the Americas . Adapturgy: The Dramaturg's Art and Theatrical Adaptation (S. Magelssen, Ed.). Southern Illinois University Press. 268. Barnette, J. (2016). How to Do Things with Birds: The Janus Effect in Theatrical Adaptation. Journal of Adaptation in Film & Performance, 9(2), 131-145. Barnette, J. (2015). Embracing the "Foggy Place" of Theatre History: The Chautauqua/Colloquia Model of Public Scholarship as Performance. Theatre Topics, 25(3), 231-242. Barnette, J. (2014). Literary Adaptation for the Stage: A Primer for Dramaturgs. In M. Romanska (Ed. ), The Routledge Companion to Dramaturgy (pp. 294-299). Barnette, J. (2012). The Matinee Audience in Peril: The Syndicate's Mr. Bluebeard and the Iroquois Theatre Fire. Theatre Symposium , 20 , 23-29. Director, The Book Club Play, Karen Zacarías, William Inge Memorial Theatre, Lawrence, KS, USA. Dramaturg, Artist in Residence, International Thespian Festival: Playworks, Samuel French, Lincoln, NE, 06/01/2016 - 06/30/2016 Penelope.